The full article is below, but click the title to view it on The Knot’s website. P.S. while there check out our great wedding band reviews on the East Coast Music & Entertainment page. Then click here for our schedule. We just might be the hardest working band in America because truly we’re out somewhere playing in NYC, Long Island, and all parts between at least seven days a week. Swing by and say hello. Can’t make a live show? Check out our video page for our montage and other live show performances. No doubt about it: Music can make or break a wedding celebration. It’s the heart and soul of a reception and can send your guests home with happy feet — or pained grimaces! The fact that you want to hire a talented band or fleet-fingered DJ is a given. Finding one is a matter of polling friends, surfing online, shopping around with fine-tuned ears, and making a move quickly — top talent can get booked up to a year in advance. What type of entertainment suits your personal taste, budget, space allowances, guest demographics, and killer dance moves best? Keep an open mind, and consider these issues to start your search. The type of music you choose can set the tone of your wedding and solidify a theme. And remember, it’s the thing people most often remember. Think about what musical genre best reflects your personalities and inspires the ambience you want to create: Groovy funk or subdued string quartet? Swanky swing or kick-off-your-shoes-and-sweat zydeco? The way the music is delivered — by live band or DJ — also affects the ambience. The type of music you choose may dictate the choice too — big band sounds are generally best live, for example. Are you a little bit country, while he’s a little bit rock and roll? Regardless of whether you choose a band or DJ, be sure they play slow and fast songs, and old and new tunes to encourage different sets of guests to hit the dance floor. In the price war, DJs generally cost less, and prices vary depending on equipment requests and whether it’s a weekday or a weekend. A 12-piece band, for example, will generally be more expensive than a DJ, since there are more people to pay. (There are always exceptions; celebrity DJs can be just as expensive as live bands.) Band prices vary by the number of musicians, the amount of time you want them to play for, day of the week, and what time of year it is. Don’t get your heart set on an 8-piece salsa band before you check whether the reception site has any restrictions on the number of musicians and pieces of equipment you may bring in, and whether there are any electrical power supply or noise limitations. For example, a registered landmark reception site may not allow you to use large speakers. Ask these questions before you start scouting bands. There’s nothing like a live wedding band to get a crowd stoked and create a sense of sophistication. Music groups can synergize with the tone of your wedding and almost any niche theme, offering everything from accordion to klezmer ditties. A good bandleader will play the master of ceremonies at your reception if you want him to interact with folks on the dance floor, pay attention to the “feel” of the room, and select music accordingly. Pros: Live music is, well, live. You and your guests will experience the pleasure of a performance. Anything can happen to raise the excitement level, from an infectious horn-section interlude to a moving solo. Don’t fear the DJ: The days of disco fever and flashing lights are gone. Today’s disc jockeys are artists in their own right, offering balanced and eclectic mixes of musical styles for all ages. Plus, the songs played will sound exactly as you remember them, encouraging sing-alongs and improvisation. And, depending on the amount of equipment a DJ brings, she’ll take up less dance floor real estate and can be relocated with relative ease. Pros: If there are a dozen songs you’re dying to hear at your wedding, it likely won’t be a problem for your DJ to find each track. Also, DJs are generally less expensive than bands. A DJ with a charismatic stage presence and excellent emcee skills can really set the mood and keep the party going. Cons: On the opposite end of the spectrum, a DJ with a less-than stellar personality can be a party-killer. Also, improvisation is tough if, say, your dad is dragging behind tempo on the father-daughter dance or your nieces and nephews decide to crash the chicken dance. Ideally, you will want to see a DJ or band in action before you commit so that you can gauge firsthand the way they dress, deadpan, and work the crowd. (Ask to see a taped public performance or attend a dress rehearsal, but you should never crash another couple’s reception.) If that’s not a possibility, ask for a playlist, and look for songs you know and love. If a band gives you a CD, cassette, or video, be sure that the musicians you hear or see are the same musicians who will play at your reception. 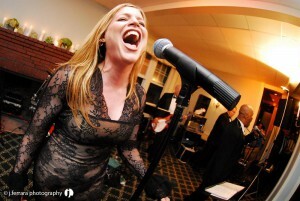 Also, ask for referrals from the last few weddings the band or DJ played. Consider your first-dance song a test. If the band doesn’t know it and is unwilling to learn it, or the DJ doesn’t own it and is unwilling to get it, move on. Know that all professionals should be open to your likes and dislikes. Give them your personal request list, songs they must, and, perhaps more importantly, a do-not-play list. Worried that you’ll hear the “Macarena” at your once-in-a-lifetime event? Specifically prohibit the playing of a song you feel strongly about in your contract.